More great free ebooks for you to enjoy! SORRY about yesterday’s e-mail. Our mailing provider had their servers attacked, and all links in the email were routed through them, so you probably weren’t able to access any books yesterday. We are going to try to remember to disable the links through them, and if it ever happens again, you can always browse to eBooksHabit.com to see all of the latest free ebooks. Sorry again! 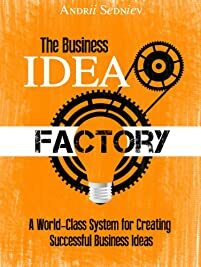 The Business Idea Factory is an effective and easy-to-use system for creating successful business ideas. It is based on 10 years of research into idea-generation techniques used by the world’s best scientists, artists, CEOs, entrepreneurs and innovators. 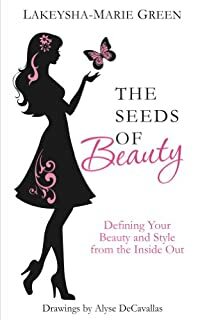 The book is entertaining to read, has plenty of stories and offers bits of wisdom necessary to increase the quantity and quality of ideas that you create multiple times. Once you begin applying strategies described in this book, you will create successful business ideas regularly and make your life more adventurous. You will realize that there are few things that can bring as much joy and success in business as the moment when an excellent idea comes to your head. 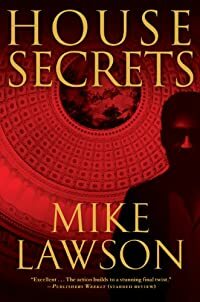 In House Secrets, DeMarco is sent by Speaker of the House John Mahoney to look into the accidental death of a mediocre newspaper reporter who, in the days before his death, claimed that he had a lead on the biggest political scandal since Watergate. It turns out that the reporter was on the trail of Senator Paul Morelli, the handsome and gifted rising star from New York, considered a shoo-in for his party’s presidential nomination. Morelli’s past has already been scrutinized and he looks clean, but then why is DeMarco being followed by a pair of thugs who freelance for the CIA? Meridith believes she is capable of weathering any storm. But she’s never experienced a love powerful enough to uproot her…until now. Meridith Ward has crafted a carefully ordered life to make up for the chaos that plagued her childhood years. But one phone call upsets all that. Within the span of several minutes, Meredith learns that the father who abandoned her is dead and she’s been named the sole guardian of his other three children. 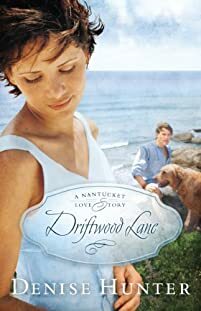 She nervously heads to Nantucket to care for the siblings she’s never met with plans to stay until their uncle returns from his trip before relinquishing guardianship to him. She arrives to find the children living in Summer House, a Bed & Breakfast that’s falling apart around them. Meridith wants to move on as soon as possible, but the inn will never sell in its dilapidated condition. Then an itinerant handyman, Jake, shows up with an offer she can’t refuse. Thirty-eight extraordinary stories from award-winning author Jonathan Carroll. For more than thirty years, Jonathan Carroll’s writing has defied genre conventions. Known for his novels—including The Land of Laughs, Bones of the Moon, Sleeping in Flame,and many other compelling and often surreal stories—Carroll has also created an eloquent body of short fiction. 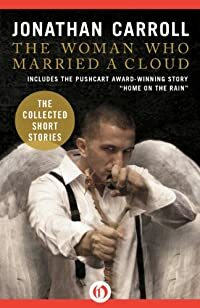 The Woman Who Married a Cloud brings his stories together for the first time. In the title story, a matchmaking effort goes awry and leads one woman to a harrowing moment of self-discovery. In “The Heidelberg Cylinder,” Hell becomes so overcrowded that Satan sends some of his lost souls back to Earth. And in “Alone Alarm,” a man is kidnapped by multiple versions of himself. By turns haunting, melancholic, and enchanting, Carroll’s richly layered stories illuminate universal experiences, passions, and griefs. Paul Morrison, a hunky, blond, financial planner, has been putting time and energy into winning the heart of Kate Winter’s best friend for almost as long as Kate, a strong willed antiques dealer, has been dating James Morrison, Paul’s brother. The sparks start to fly when the two get stuck together for a three-hour drive to the mountains and years of misconceptions about each other are slowly being wiped out. It is in the confines of the BMW that the two begin their journey, taking them from being mortal enemies to lovers. 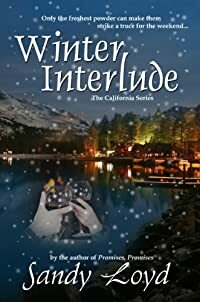 Winter Interlude tells the story of their adventure – of how they finally find love. Liam Quinn is back in his old Philly neighborhood, trying to make amends for the mistakes that landed the ex-boxer, ex-forger a three-year jail stint. It’s tough to go home again, even when the ones you love are looking out for you. 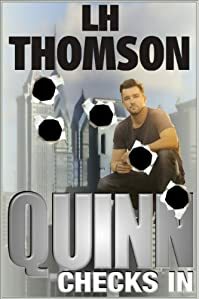 Crooks are knocking over galleries and leaving paintings behind; Quinn’s extended family is a quarreling mess; his true love Nora thinks he’s just a swell buddy, and an aging mobster wants his head. But when trouble comes calling? That’s when Quinn Checks In. Casey Donovan has issues: hair, height and uncontrollable trips to the 19th century! And now this-she’s accidentally taken Nate Mackenzie, the cutest boy in the school, back in time. Awkward. It’s the eve of the American Civil war and protocol pressures Casey to tell their hosts that Nate is her brother. No one more surprised than she is when they are forced to share a one room worker’s cabin. Super awkward. Nate’s slow to accept their new reality but when he does, he realizes he needs Casey to get back. His nearness is intoxicating to Casey, but she keeps her cool by hanging a privacy blanket and staying aloof. Knowing Nate has an evil girlfriend waiting for him at home helps. Over time Casey gains the attention of a handsome, wealthy (and unwanted) suitor, and something changes in Nate. Are those romantic sparks or is it just “brotherly” protectiveness? When they return to the present, things go back to the way they were before: Casey parked on the bottom rung of their school’s social ladder and Nate perched high on the very the top. Except this time her heart is broken. 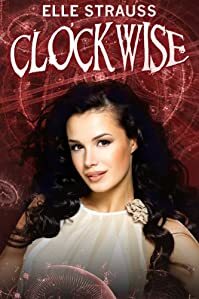 Plus, her best friend is mad, her parents are split up, and her younger brother gets escorted home by the police.The only thing that could make life worse is if, by some strange twist of fate, she took Nate back to the past again. Joseph Lee is wealthy, safe, and alone. His wife was murdered, butchered in her own house. They never found the killer. The police blamed him, as did everyone else. He’s been alone since her death. Confined to the house where she was murdered, forced to live a hermit’s existence as he struggles with his grief and self-loathing. But there’s hope: a beautiful woman, a woman who looks uncannily like his dead wife, moves into the house across the road and befriends him. 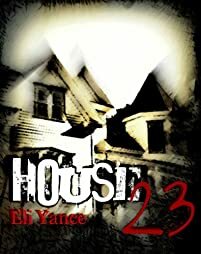 Joseph Lee’s life seems to be improving, but after the light at the end of the tunnel there’s another descent into a world of darkness, because the stunning look-alike, and the imposing structure of house 23, are hiding disturbing secrets. Avery Snow led a boring, no thrills life. 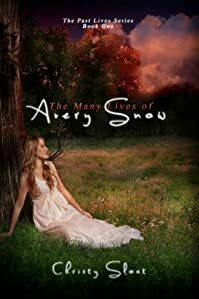 After her father left the family when she was young, Avery’s mother died when she was only twelve, leaving her all alone except for her Aunt Paulina. Now, at twenty-six, Avery is very used to being lonely. She enjoys her job at Sunrise Estates, it’s the one place where she doesn’t feel left out. Her boss, Kerri, is her best friend and Lucy O’Shea, a resident at the home, is a good friend to her as well. The night Lucy dies in Avery’s arms she delivers a haunting message to Avery. She tells her that there is a man looking for her from a past life. And he will stop at nothing to have her. Now Avery is unable sleep for more than a few hours, her dreams are keeping her awake. She is too terrified to sleep for the dreams are too vivid and too real. The only catch? She cannot remember what they are about. Until her Spirit Guide, Ianni, comes to help. Ianni shows Avery her past lives and tells her about the man who is stalking her soul. Now Avery remembers every life she has ever lived and she remembers the man she shared them with. He will not give up until she falls in love with him. The problem is Avery is in love with someone else. Ianni must help keep Avery from making the wrong choice. One her soul doesn’t want. She also must keep her safe from the Dark Guides who are after Avery. Now Avery must make choices she never has before. 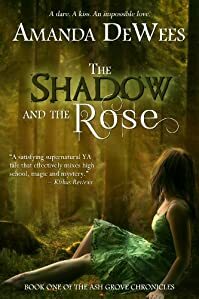 This once lonely girl is now surrounded by Spirit Guides, psychics, Demonic Angels and two men fighting for her love. It’s a story that he hasn’t told anyone for fifty years; a secret that he’s kept ever since he grew tired of the disbelieving faces, and doctors’ reports advising medication. 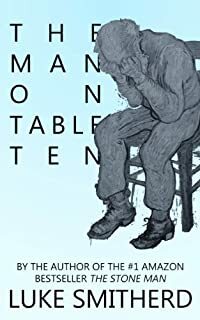 But then, he hasn’t touched a single drop of booze since that one, fateful day, and breaking that vow in the presence of bright young waitress Lisa Willoughby means that her life will be changed forever … because now, the The Man On Table Ten wants to share his incredible tale. Brace yourself for a fight! 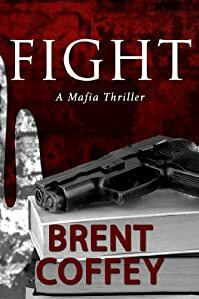 Boston’s District Attorney, Bruce Hudson, must prosecute the Mafia to keep the city safe, but the Mafia doesn’t play fair. When Bruce puts the Adelaide family on trial, the boy that he’s trying to adopt goes missing, and all that’s left in his place is a cryptic message. Welcome to Boston’s underworld, home of organized crime! Mafia Kingpin Victor Adelaide has built a deadly empire out of drugs, prostitution, and murder, and his son, Gabe, will inherit the family business… and Bruce finds out the hard way that this father and son are a force to be reckoned with. After a jury mysteriously votes not to convict, Bruce learns that the Adelaides have other plans than just winning in court, and the child that he cares about is now in danger. Can Bruce protect an orphan from the Mafia’s plans? I‘m a chicken you can trust, so you can believe me when I recommend this children’s picture book to all hens and their people. The acrylic paintings are very chickeny, full of watery color, and in your face good, especially the ones of me. 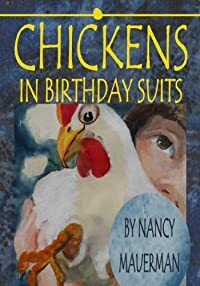 I’ll tell you about my best, human-friend, Jillian, and my chicken family’s Hatch Day party and that sometimes everybody has fun except the Birthday Bird! That was me because I thought I was going to starve to death. Oh yes, I had a little cake, but I just pecked a tiny piece of that stuff so I wouldn’t hurt Jillian’s feelings, and the situation definitely got worse and worse and I got hungrier and hungrier but I didn’t die. Little spider Twigs has a lot of friends and all his friends are Spiders. They like to play together as all kids do. People created a lot of tales about Spiders. They think that Spiders are scary and angry. 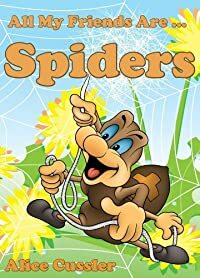 Kids will learn that in fact spiders are very beneficial for people, because they fight mosquitoes and pests. This book is written to teach children to be responsible towards animals. If children learn to love and respect animals, they will become reliable and responsible adults. 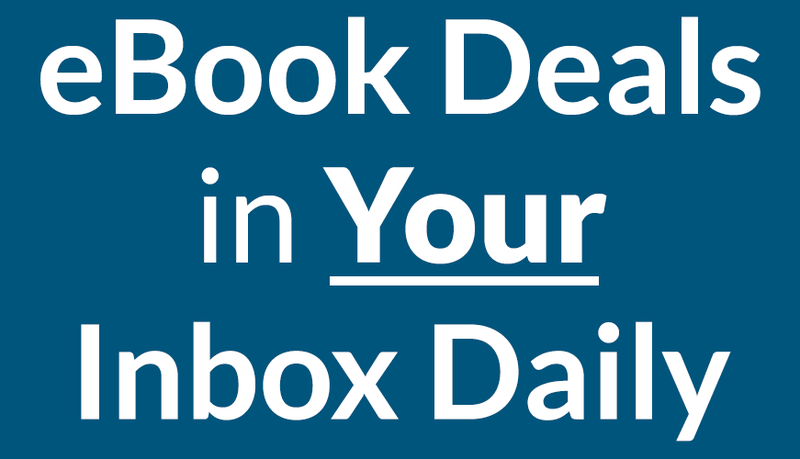 We feature bargain and free ebooks every single day here at eBooksHabit.com so be sure to come back and find more great free ebooks!